Since the mAbxience León plant was opened in 2015, the team of professionals working there has progressively grown. More than 50% of them have more than ten years’ experience in R&D and the biotechnology industry, and they are highly experienced in monoclonal antibodies. It is a young, multidisciplinary team with an international profile. With their focus on an area as uncharted as biosimilars, they help to promote the training of young locals in the biotechnology field. This is a task that mAbxience is strongly committed to. The León plant is the biggest biologic plant in Spain and the first in Europe with fully integrated single-use technology in most processes (cell bank, purification, formulation, culture and media & solutions preparation). Its facilities have R&D laboratories, Quality Control laboratories, GMP plant and GMP industrial plant. The project “PALIVIZUMAB, development of a biosimilar drug for treatment of human respiratory syncytial virus (RSV)”, has been co-financed by the European Regional Development Fund (ERDF) under Smart Growth Operational Program through Centre for the development of Industrial Technology (CDTI). The project “Investigation and development of a biosimilar drug based on the monoclonal antibody ADALIMUMAB for the treatment of rheumatoid arthritis”, has been co-financed by the European Regional Development Fund (ERDF) under Smart Growth Operational Program through Centre for the development of Industrial Technology (CDTI). 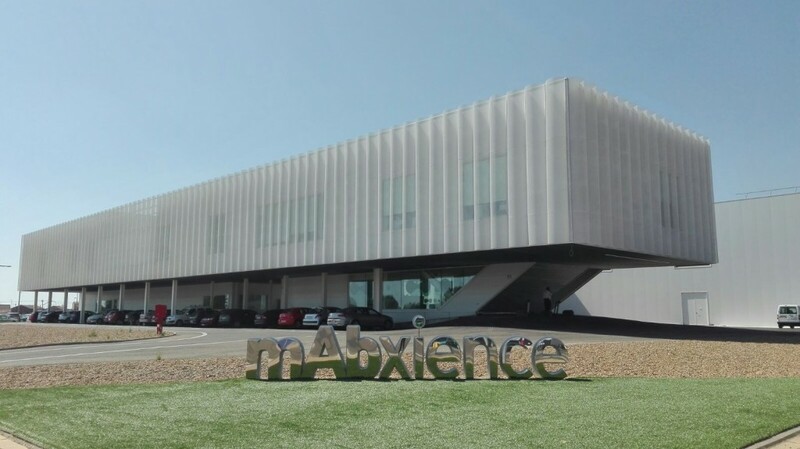 The Board of Castilla y León declares the strategic plan of Genhelix (mAbxience León) for the development of biosimilar medicines, specifically “Bevacizumab: Development of industrial scaling, preclinical studies and phase 1 clinical studies of a biosimilar for the treatment of cancer” to be of special interest. The budget associated with this initiative comes to 2.8 million euros and the estimated subsidy is set at almost 710,000 euros. It is a project financed by the European Regional Development Fund (ERDF) of the European Union and the Junta de Castilla y León, through the Institute for Business Competitiveness of Castilla y León (ICE), with the aim of promoting the Impulse and Promotion of R&D activities led by companies and support for the creation and consolidation of innovative companies. mAbxience León has the GMP certificate from AEMPS (Spain), and ANMAT (Argentina)and Turkish Ministry of Health.